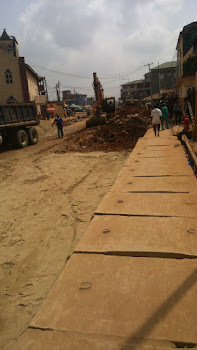 Isolo road which was left abandoned and uncomplicated during the final days of former Lagos State Governor, Babatunde Fashola is now undergoing completion works. This road serves millions heading to Isolo and onwards to Ejigbo, Ikotun and Ijegun. We hope a good job will be done by the contractors and the road completed soon.